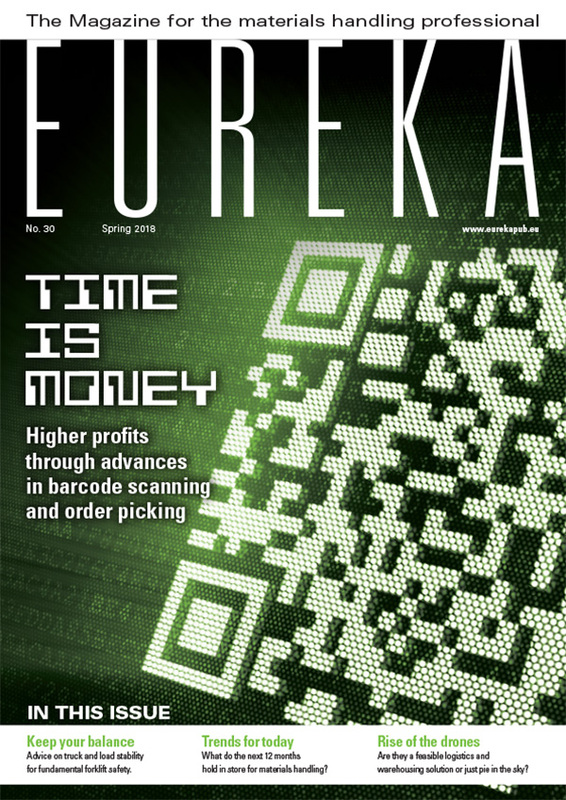 Barcode scanning capabilities are growing. 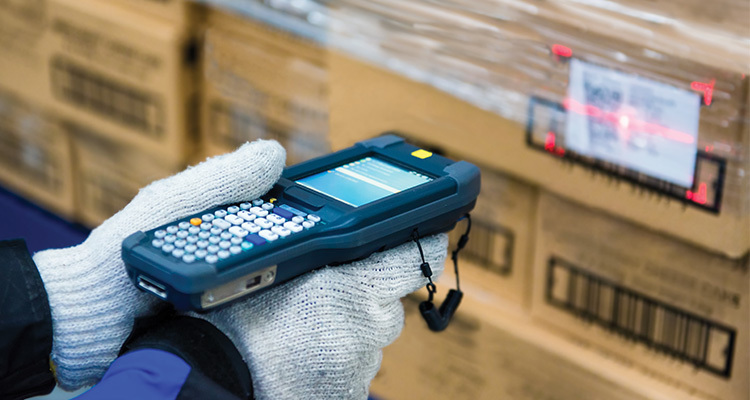 Compared to their laser-based predecessors, today’s most advanced image-based barcode scanners have other important advantages. They can read barcodes from any direction, instead of requiring labels to be in a particular position and orientation. They can read multiple codes on packages simultaneously. As well as one-dimensional barcodes, composed of light and dark lines, they can read two-dimensional information such as Data Matrix and QR codes. These provide much more data and are certain to play an increasing role in future logistics. When shopping for any item of warehouse equipment, buyers should consider not just the purchase price but all related lifetime costs. What’s in the box? 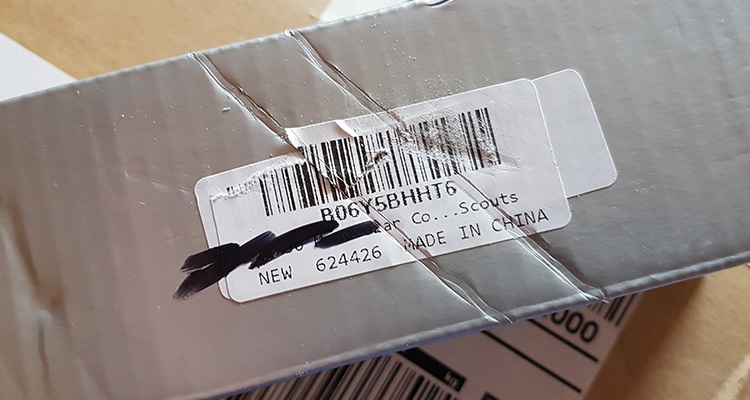 Not all barcode scanners are able to read labels in this condition. 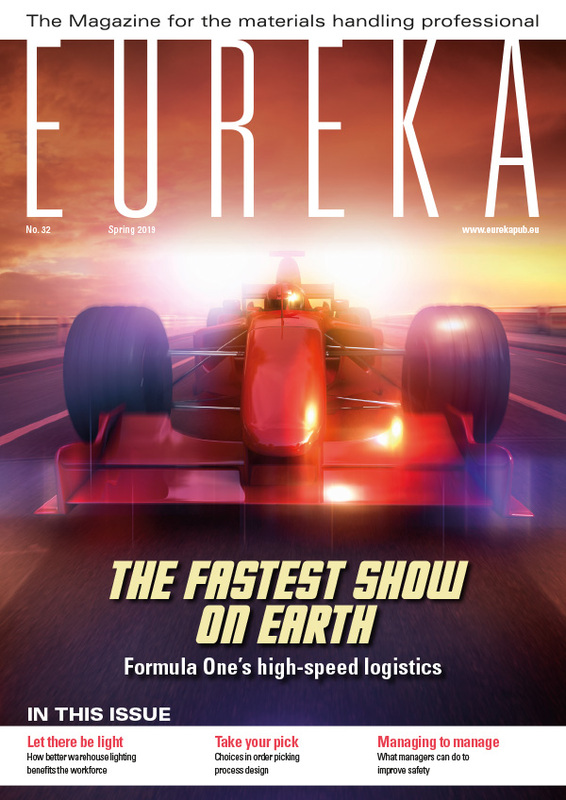 Clever software has enabled major leaps in the capabilities of order picking trucks as well as barcode scanners. 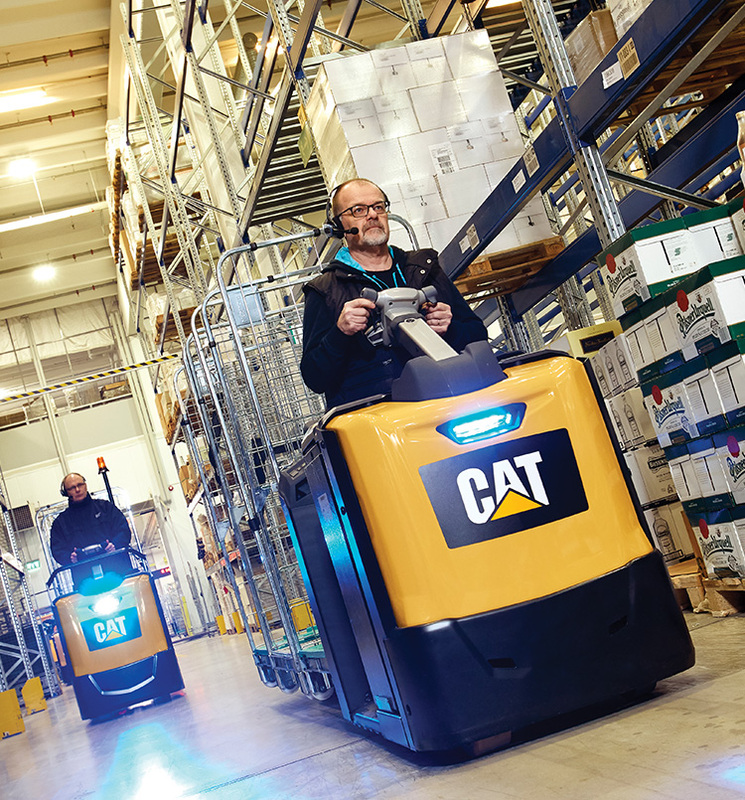 Innovations on the latest NO-N2 low level order pickers from Cat® Lift Trucks include a unique intelligent curve control system. This reacts rapidly and intelligently to the operator’s steering behaviour and travel speed, adjusting sensitivity, cornering speed and angle limitation to meet changing needs. In short, the operator is empowered to drive rapidly between picking points without losing stability. Operating an order picker involves a lot of starting and stopping. To save vital seconds, the NO-N2’s deceleration rate and stopping distance are programmable. This makes the timing and precise positioning of each stop easy to control. Meanwhile, the truck’s regenerative braking has been optimised to eliminate swaying effects when it stops. When distances between picks are relatively small, the most time-efficient approach is ‘walk-by-side’ operation. In this mode, which also gives an improved view to the fork ends, the truck is still controlled via the steering wheel but with angles safely limited. From the walk-beside position, the operator can rapidly return to the truck’s faster ride-on mode using its ‘flying start’ feature. This allows acceleration to begin before he or she steps onto the presence-detecting floor mat. Once onboard, full acceleration is permitted. No order picking time can be gained by crashing a truck, so various automated safety aids have been added to the control functions already mentioned. Steering control characteristics are modified when reversing, to allow for the operator’s sideways position and one-handed operation. ECO and PRO driving modes can be chosen according to the operator and application. Advanced traction control keeps acceleration smooth and rapid, even on slippery surfaces, while a hill hold function and anti-lock brakes give extra confidence in all conditions. Along with electronic control technology, there are structural design features which save further time. Order picking frequently requires walking through the truck to pick from each side of the aisle, so the NO-N2’s operator compartment has been designed with wide, unobstructed access, a low step height, a non-slip mat and no tripping hazards. Cat® NO-N2 low level order pickers: speeding up movement between picks. When shopping for any item of warehouse equipment, buyers should consider not just the purchase price but all related lifetime costs. They should also look at the potential for cost savings through increased efficiency in picking and other processes. This applies equally to barcode scanners and warehouse trucks. Image-based barcode scanners were once substantially more expensive than their laser predecessors, but the gap is closing. Depending on the specification required, you might now find image-based and laser-based systems at similar prices. it gives a return on investment every day through its superior read rate. Just work out how much time and labour you will save, even if the reduction in barcode reading failure is as little as 1%.